Welcome to India's First Online Portal for Electrical and Controls ready to use Standard Panels. 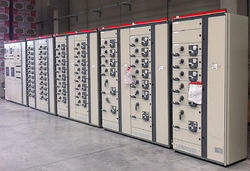 Owing to the wide experience of this domain, we are instrumental in offering Motor Control Centre Panel to our clients. We are recognized as one of the leading manufacturers of (Motor Circuit Control) MCC panels widely appreciated all across the country. These have the capacity to feed larger loads and are designed as per the client specifications. 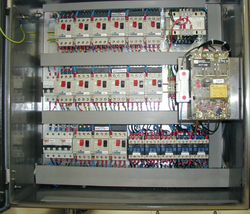 We are the Leading Manufacturer, Supplier of Motor Control Centers in Chennai.Tamilnadu, India. We can manufacturing only LV Level control Panels. Note:- We are preferring buyers from Tamilnadu only. Being an unparalleled name in industry, we are involved in offering a large variety of Motor Control Center. Ours is an illustrious organization, which is engaged in manufacturing and supplying high quality Motor Protection Panel. All these panels are manufactured using high quality components that are sourced from most trusted vendors of the market.